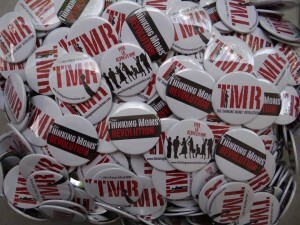 The Thinking Moms’ Revolution is made up of twenty-three moms and one brave dad. Their group stretches from Montana to Malaysia to Montreal. While parenting children with autism spectrum disorder, chronic childhood diseases and disabilities, they came together to collaborate about biomedical, alternative healing modalities and dietary interventions, as well as doctors and researchers developing cutting edge treatments. In the process they became a tight-knit family dedicated to helping their children lose their diagnoses. Blog – TMR publishes a daily blog full of stories of healing, truth, justice and hope. The blog has over 1.5 million hits with a global readership. 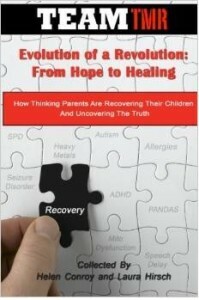 Visit www.thinkingmomsrevolution.com. Social Media – TMR has a strong social media presence, with daily interaction with fellow Thinkers from all over the world. Join the Thinking community and connect with TMR on Facebook, Twitter and Pinterest. Videos – The TMR YouTube Channel has over 30 original videos, all produced by the Thinking Moms. TMR has published several powerful videos, watch them here. And a series of Thinking Out Loud video interviews, watch them here. 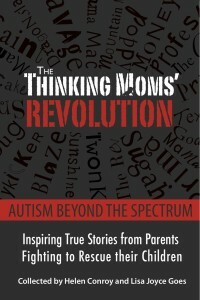 Books – TMR has published 2 books, The Thinking Moms’ Revolution: Autism Beyond The Spectrum and Evolution Of A Revolution: From Hope To Healing. We are currently working on our next book, stay tuned! Not-For-Profit – TEAM TMR is a 501c3 not-for-profit organization created by the founders of the Thinking Moms’ Revolution. Team TMR provides help to families struggling with medical, emotional, educational and financial hardship due to complex medical needs faced by their children diagnosed with autism and other developmental disabilites. eConferences – TMR is organizing a series of online conferences related to autism, health, and nutrition. The purpose of the eConferences are to spread awareness and learning opportunities to parents all over the world. We strive to bridge the gap between therapists, practitioners, nutritionists, and leading specialists in their field, with parents of children with special needs, all from the comfort of their home. Please see Energetic Healing For Children With Autism eConference, GMOs, Organics And Food Allergies eConference and more coming soon. Events – TMR has been a part of several events and collaborated with leading partners for health and parenting conferences, and even organised a music festival. TMR takes a special interest in healthcare reform for autism and children’s health, and has participated in political events and public health forums. Press & Media – The Thinking Moms have participated in local, regional and national events where they were featured in the press. They have been featured in newspapers, magazines and online media. TMR has been invited to speak on national television, interviewed for various documentaries and more. For media contacts, please click here. 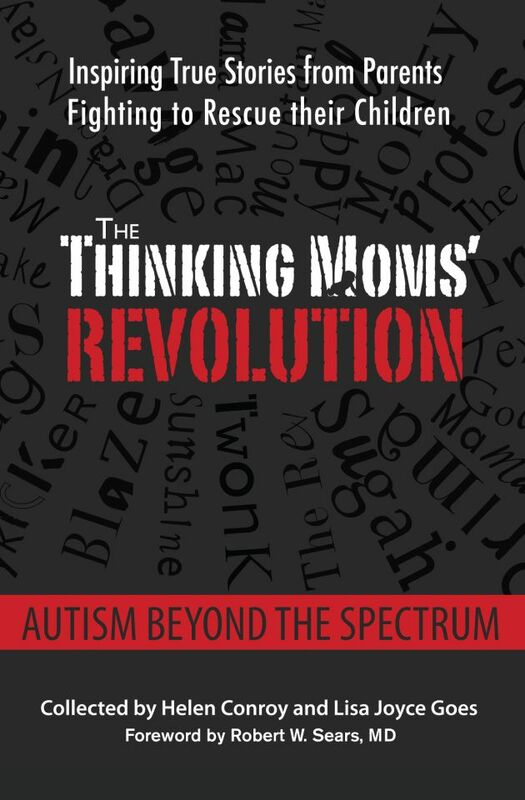 The Thinking Moms’ Revolution: Autism Beyond The Spectrum (April 2013) is available in hardcover, Kindle, iBook and Audible. Click here for more information. Evolution Of A Revolution: From Hope To Healing (May 2014) is available in paperback, Kindle and Nook. Click here for more information. TEAM TMR is a 501c3 not-for-profit organization created by the founders of the Thinking Moms’ Revolution. Team TMR provides help to families struggling with medical, emotional, educational and financial hardship due to complex medical needs faced by their children diagnosed with autism and other developmental disabilites. I found your site while res-arching toddlers who bang their heads. I wish I would have found you all sooner. My son is two this month and does not speak coherently. He babbles and says mama, but only when upset. He started to say a handful of words at 11 months, but by 18 months he had stopped saying them completely. His doctors have said that it is normal for a child his age to do this sort of thing, but I have always felt that there may be a larger issue. I decided to let some time pass and see how things went. I put him in an early preschool program in the hopes that spending time around other children would help him catch up. It has not. Because my husband has a brother who is autistic, and we have spoken at length about how it all came to be, I had a suspicion that this may be what is happening with my son. When I found your post on toddler head banging, it was a wake up call. I need to be my sons advocate. His current doctor does not see any issue. Where do I go, what type of health care professional, to get another opinion? It is difficult to find the words that express how grateful I am for this blog. I have felt so alone in this. Just knowing that their are others who understand and are unwilling to accept what they know is not the best caref or their children…its just means everything to me. Thank you all. Oh, Kara. Comments like yours warm our hearts and keep us going when the going gets tough! And your doctor should have his/her license taken away. LOSS of language in a toddler is NOT normal. Occasionally expressive language development pauses while a toddler learns something very difficult, but they should not obviously regress. I am so glad to see a group like this and this web-site. 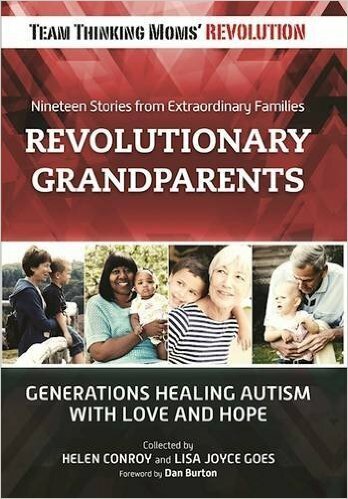 I had custody of my grandson from 6 months old to 4.5 thru his autism diagnosis. I was diagnosed with pudendal neurology along with other pelvic problems at the same time he was diagnosed. We (my 75 year old mother and I) had to call California State, Early Intervention program to get a response to Kevin’s speech going backwards, Far Northern Regional was forwarded our call and ultimately asked if he was pointing, he wasn’t-my heart sank when I realized where they were going with the conversation. I went with the glutin-casin free, rotation diet because I had to do something as he had wasting problems and it worked. The diet and early intervention services I attribute as key to his diagnosing out at 4.5 years old. He had continued socialization into Head Start, first the early at home program and then pre-school Head Start. A gamble with Chinese Immersion (a pictorial language approach) at Redding School of the Arts in Kindergarten has paid off. He is in a 7 year Chinese student and in higher 6th grade everything and his Chinese teacher from China says that the adults here who speak Chinese can not understand her talk, but Kevin can. I new nothing to start, I hadn’t had a baby in my arms for twenty years and my mother hadn’t for forty years, much less this diagnosis for a baby. I went online and learned all I could and Far Northern came nearly everyday for years. His father has pulled his life together and has custody and care, thank God because my sitting disability isn’t recognized and I haven’t been able to get the help I’ve needed. Then an accident into my chest/diaphragm/abdomen area rendered me bed-ridden and my bowels are a mess, I am a mess. But Kevin is in a good place. His dad isn’t the researcher I am, but he would review and use what can be found to further help Kevin. Kevin still has needs only they are very subtle now, other than computer assistance accelerating his learning and broadening his thinking and then social interactions, which team sports are fulfilling. I can’t see what will further mitigate the holes in development and further aide him, or even what needs can be identified. Just the feeling there is more that could be done if known. Thanks for your story, Melanie! It so dovetails with what many are saying. Please know that there are still many avenues that can be explored in healing. Some very gentle and enjoyable for the child. Many have found a great deal of help with homeopathy, IonCleanse footbaths, gut healing with Restore, and supplements that are targeted based on your individual child’s genetic makeup (though, it seems every kid needs a break now and then). Check out today’s blog and call for action. Your story sounds like one that Linda Birnbaum, Director of the National Institute for Health Sciences needs to hear. Hello all. I just came across your website, so please forgive my ignorance. I am curoius if anyone has cured their children of autism? There are so many people who would love to know how. I assume if there is a strategy for autism, then Aspergers and ADHD children could also benefit. Hi Mic! I’m not sure I know anyone who would say that they “cured their children of autism” in those exact words, if only because “cure” is very fraught within the community. But there have indeed been quite a few cases of children with autism who have completely recovered due to biomedical and other interventions, usually coupled with supportive therapies. And, yes, Aspergers and ADHD often respond to exactly the same treatments. (There seems to be a stronger genetic component to Aspergers than other conditions, though, as I know quite a few people whose kids have Aspergers who say they have older family members with Aspergers as well.) In the search box at the upper right of our website enter “autism recovery” and a lot of relevant blogs should appear. My name is Kristine Farley. I love the work you’re doing in the world and would love to feature you as an expert on a Joyfully Empowered Moms of Special Needs Children Summit that will launch November 9th, 2015. Are you interested and able to participate? –	And any other ideas and services that can make their lives easier and more fulfilling. The audio interviews will be pre-recorded and last 30 minutes. Each expert is required to send at least ONE solo email and promote on social media starting Nov.2nd, 2015. Will these dates work with your promotional calendar?